The Summer holidays can be long and boring at times. I find some weeks we are constantly on our feet, keeping busy then the next we tend to feel lost after one or two days of rest. I don't like the idea of the kids sitting on tablets or watching television all day and my kids are crazy on doing crafts. 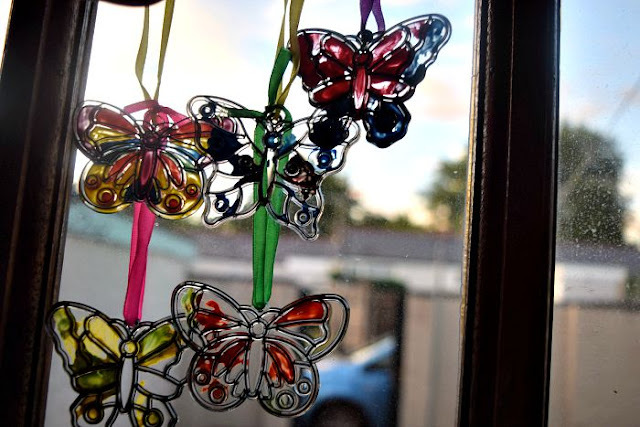 I won't pretend that I am a Mum who sits doing organised craft activities all day long, I have a million other day to day things that need doing. For this reason I love to have packs of craft activities ready to use when we want them. Some of them involve showing the kids what to do before leaving them to their own devices and others require much more supervision. We have spent lot's of time this summer doing some fun Baker Ross activities and have them all here to show you. 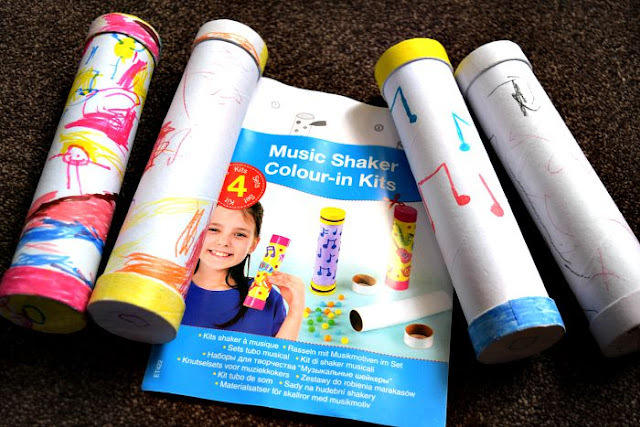 The first of our crafts this summer was the Music Shaker Colour-in Kits. Now I had to go out for a day leaving Gracie and Zach with their Daddy and thought this would be a great bonding activity as he usually struggles when it comes to crafts and would usually just take them to the park or to kick a ball around on the field by our house. He still got to do just that but he also got to do something bit different with them and when I came home they were so proud to show me what they had made with Daddy. Each kit contains four shakers with removable ends and a small amount of beads to make the shaker noises. The set of four shakers costs £3.49. 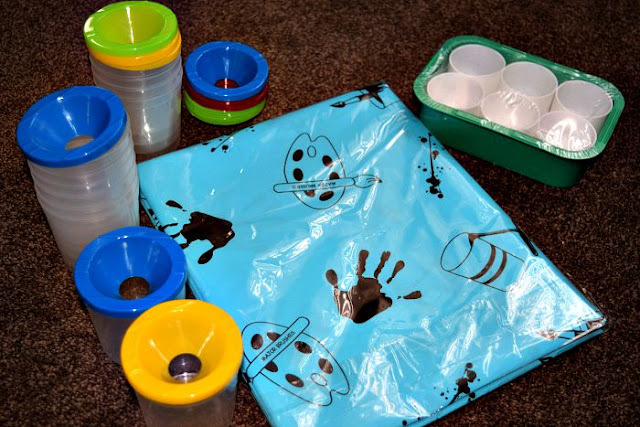 We also received a few painting essentials such as the Super Value Splash Mat (£2.99) which is great for both doing large messy activities on the floor inside or outside as well as using as a waterproof tablecloth. We also received a pack of 12 water pots (£3.96) to clean brushes with. I do wish they did a smaller pack of these as we would never use 12 at once but they are really handy and a great price. Another painting accessory is the paint pot trays (£1.99). Each tray contains six small paint pots which are brilliant for keeping the paint all in one place and very easy to clean out afterwards. 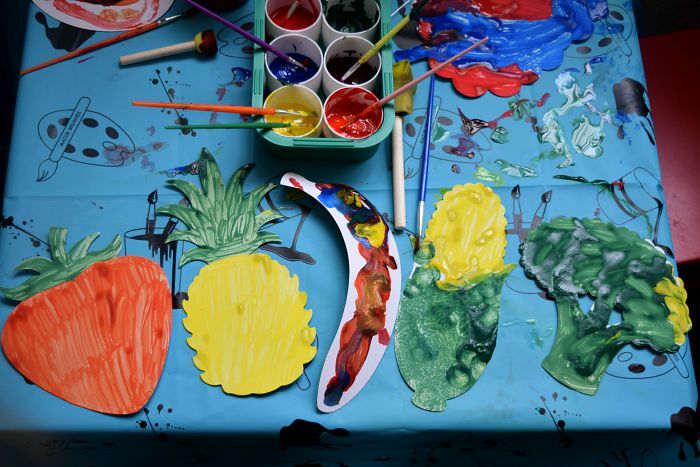 These Fruit & Vegetable Card Shapes (£1.49 for a pack of 10) are a brilliant (and messy) activity for the kids. My kids love their fruit and veg anyway and Gracie really enjoyed trying to paint hers the right colours You can see by her broccoli and Sweetcorn pictures, I think she did a really good job. Zach on the other hand just wanted to splash as much colour on his as possible but had lots of fun doing so. These Butterfly Mini Suncatcher Decorations (£2.99 for a pack of 12). Now we are ameteurs and so used regular children's paint and not glass paint but I think they look ok?! We had fun making them so that's what counts right? I think both me and the kids enjoyed these and they were quite proud of the finished product. We still have a few left over to do another day too as there were so many in the pack. 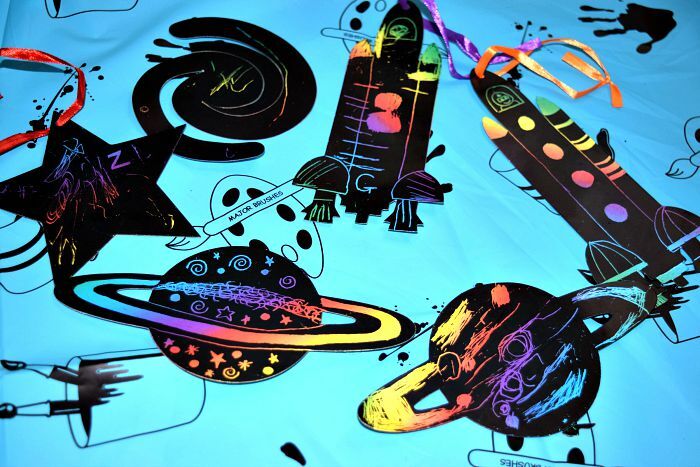 So last but not least, and actually our favourite activity out of them all, The Solar System Scratch Art Kit (£2.99 for a pack of 12). This is a super cool activity and the kids are adamant that it is magic! 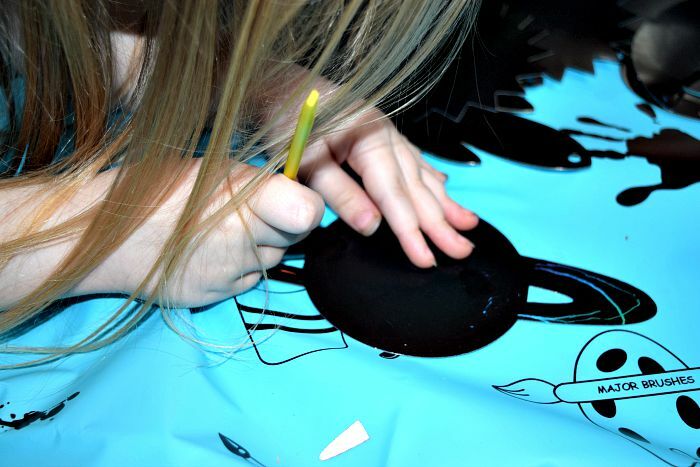 It took me write back to my childhood when we used to make our own versions of scratch art and so I loved doing this activity with the kids. Gracie in particular got really into this and especially liked making her scratch art rocket. These are a brilliant price and something I will definitely buy for them in the future. 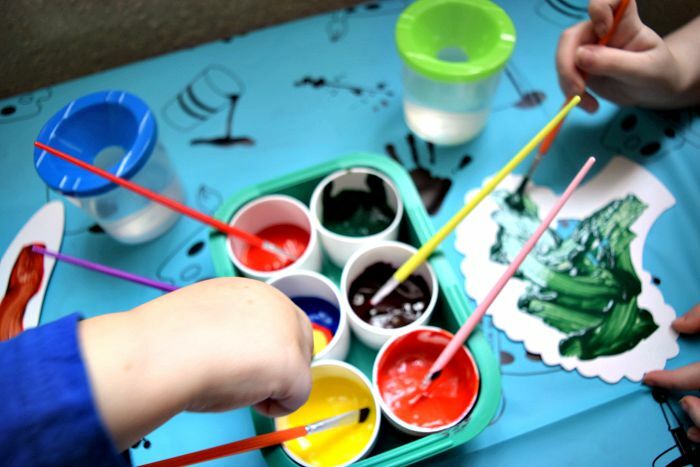 I love all the great value activities from Baker Ross and that it wouldn't cost much to stock up a craft box for school holidays or special occasions. I love the wide range of activities to suit all households whether you prefer long messy activities or quick and easy crafts, there is something for everyone. We received the items featured free of charge for the purpose of this review. All opinions are my own.